He’s one of the most popular players in program history, will it matter? There was speculation that Mike Davis going to Detroit Mercy might not happen, but it was just a passing fancy. Detroit Mercy initially bristled after an awkward early announcement coming from Texas Southern. But Davis will be introduced as head coach on Thursday. Now the speculation begins, who will take over for the Tigers? I’m not a fortune teller, if so I would have won the Powerball last night and someone else would be writing this article. Nevertheless here we are embarking upon random speculation of who might be in line to keep the championship train rolling in Houston. Jim Hicks, a veteran sports talk host in Houston joined us last week and gave us a thorough list of potential candidates. You can listen to his full list in this podcast excerpt here but this coaching search will center around one name. Kevin Granger. The people’s choice will most likely be Kevin Granger, one of the best basketball players in school history. Granger led the NCAA in scoring his senior year at 27 points per game. After playing overseas he returned home and eventually became an assistant coach at TxSU. He was in line to become the head coach after interim coach Robert Moreland resigned but it didn’t happen. There was a switch in Athletic Director at the University and all bets were off. 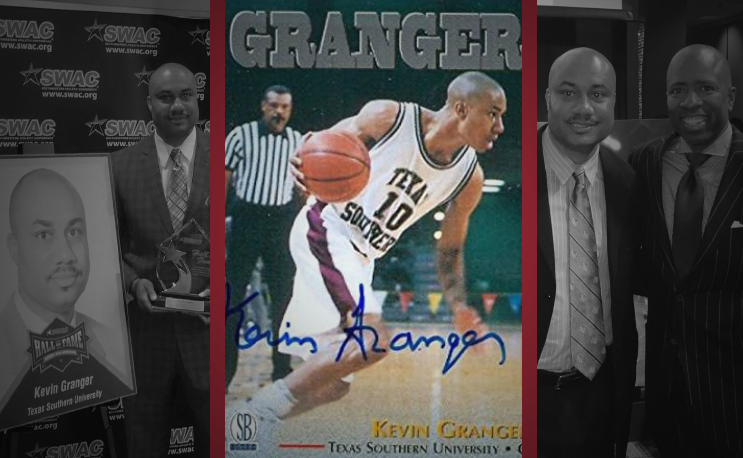 Granger is now the assistant athletic director at Texas Southern and the unanswered question is does he want to leave administration? Current Athletic Director Dr. Charles McClelland has been rumored to be a front-runner to take over as commissioner of the SWAC. Granger could potentially be in line for the AD position should McClelland leave. So the ball might end up in the point guard’s hand once again, with his career decision in the balance. Granger has a lot to consider beyond just himself. His son Kevin Granger Jr., is a member of the men’s basketball team as well. He might really want to coach his son or he may prefer to just watch from the best seat in the house as an administrator. Again only Granger knows. At the very least it would be a goodwill hire amongst the Texas Southern fan base. For Texas Southern, this is the last ride on the Granger for coach train. If he’s genuinely interested and they don’t hire him now, they never will. Did Mike Davis heading to Detroit Mercy hit a snag?